PAUL Roos knows exactly what Chris Fagan is going through - getting his hands dirty, rebuilding a team from the ground up. But not just any team, one capable of eventually challenging for a premiership. Fagan himself confirmed that in a text message to Roos late last year. The Brisbane Lions mentor had just finished reading Roos' book, Here It Is, which included the former Fitzroy champion recapping his time overseeing the regeneration of the Demons throughout 2014-2016. "He said 'there's so many similarities between what you did at Melbourne and what I've got to do here'," Roos recalled of the SMS exchange. A premiership coach at Sydney (2005), Roos had been tempted back to the coalface in 2013, prepared to feel the extreme heat that came with taking on a basketcase - six wins from the previous two seasons. Having moved back to the Victorian capital, and declining offers to take the reins at Brisbane, Roos was up for the challenge at Melbourne. Shrewd recruiting and diligent coaching led to the Demons' claiming four wins in 2014, seven in 2015 and 10 in 2016. It was a gradual incline that should have seen them claim a further 13 wins under Roos' replacement, Simon Goodwin, in 2017, and produced a first finals campaign in 11 years but the wheels fell off at the death. Instead, it was 12 wins and a ninth-place finish. That said, the Demons are primed to be a contender in 2018. Perhaps three or four years behind the Demons in development are the Lions under Fagan and football boss David Noble. 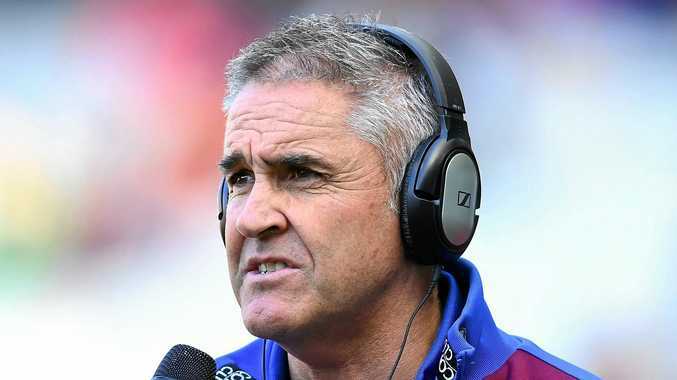 Brisbane had hit rock- bottom in 2016, registering just three wins and sacking coach Justin Leppitsch before appointing long-time Alastair Clarkson right-hand man Fagan. The Lions would begin their own upward trajectory with five wins. Few wooden- spooners have ever provided so much hope. And hype. "Fagan and Noble have done a really good job. Chris is a really stable guy, so is David," Roos said. "As long as they can weather the storm a bit. 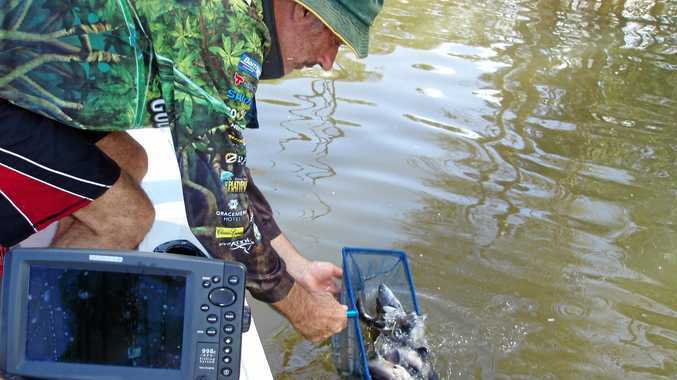 It's not going to be all smooth sailing but everyone in Melbourne likes what they're doing." As it was at the Demons, the Lions needed to get their house in order off the field. There is still massive debt, but they're getting there. "It's not just about a coach," Roos said. "You've also got to have a good CEO, good football manager, good recruiting officer." And Roos believes they have succeeded with the recruiting, landing some "great up-and- coming players" who are prepared to committ. Among them are Eric Hipwood and Ben Keays (drafted in 2015), Hugh McCluggage, Jarrod Berry and Alex Witherden (in 2016) and now Cameron Rayner and Zac Bailey (in 2017). 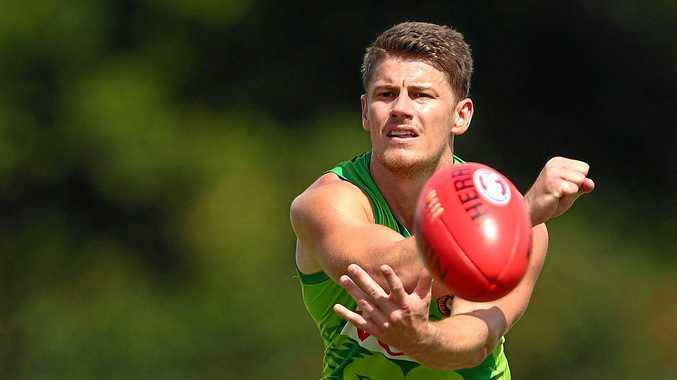 In particular, Roos likes the key position trio of Hipwood up front, Harris Andrews down back and swingman Dan McStay - the envy of rival clubs. "They will get beaten up a little bit," he said. "Certainly Harris and Eric will get bashed and crashed around but they've got enormous potential. I think Dan's a terrific player as well." As important as it is to have the promising kids, Roos said having experience around them was key. At Melbourne he brought in Bernie Vince, unwanted at Adelaide, and Daniel Cross, not required at the Bulldogs. The Demons have since added spurned Hawk Jordan Lewis. Roos said former Hawks star Luke Hodge's decision to come out of retirement would be a major boost for Brisbane. "He understands the game incredibly well," he said. "It'll fast track the development of a lot of those young kids." Three-time premiership skipper Hodge won't be an official leader. 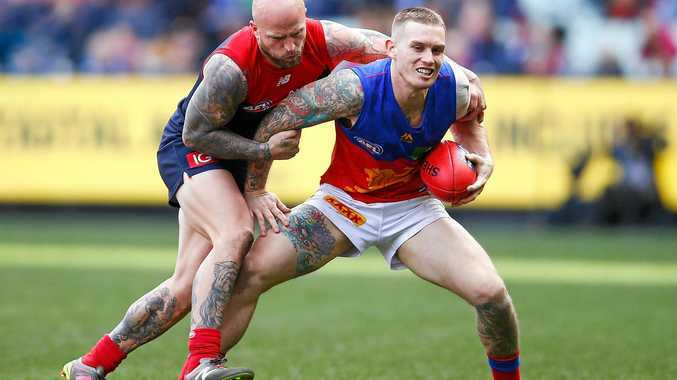 Those duties will be left to the Lions two bonafide superstars Dayne Beams and Dayne Zorko, two of only four players to average 20 disposals and a goal in 2017. The others were Dustin Martin and Patrick Dangerfield. Roos admits Zorko was on his wish list when appointed Melbourne coach. "I'm a massive, massive Dayne Zorko fan. He's one of my favourite players. He's just a star," Roos said. "We actually tried to get him when I started at Melbourne. He was never going to leave, but it's one of those things, you ring the manager and say 'we're interested'." Down the road on the Gold Coast, Roos also likes the off-field personnel the Suns have gathered, including Mark Evans as chief executive and Stuart Dew as coach. Dew was initially earmarked as Roos' successor at the Demons, but chose to extend his senior coaching apprenticeship at Sydney. "They've obviously lost some players," Roos said. "They need to develop some more depth through the midfield, which is one of their weaknesses, and they understand that. "Their bigs (Tom Lynch, Steve May, Sam Day, Rory Thompson) are really good. But, it's imperative they keep (the out-of-contract) Lynch. He's such an important player to them." Roos played 269 games for the Lions (when they were Fitzroy) and 87 with the Swans, but the Demons are closest to his heart right now. He's watching the likes of Jack Viney, Christian Petracca, Jesse Hogan and Clayton Oliver come into their own with understandable interest. "I think they'll definitely play finals this year, barring injury. Their talent is enormous," he said. Roos is enjoying life in the media, commentating for Fox Footy and appearing on On The Couch. He will take a diplomatic view of the competition but admits he would take incredible pride out of a Demons premiership. They now have the longest flag drought in the competition at 54 years. "I would be so rapt," he said. "It might be a bit early, but who knows." As the Tigers and Bulldogs have shown with their improbable premierships, history means little in the AFL. Even the Brisbane Lions can dare to dream again. Paul Roos can be seen on On The Couch each Monday night on Fox Footy, alongside host Gerard Healy, Garry Lyon and Jonathan Brown.